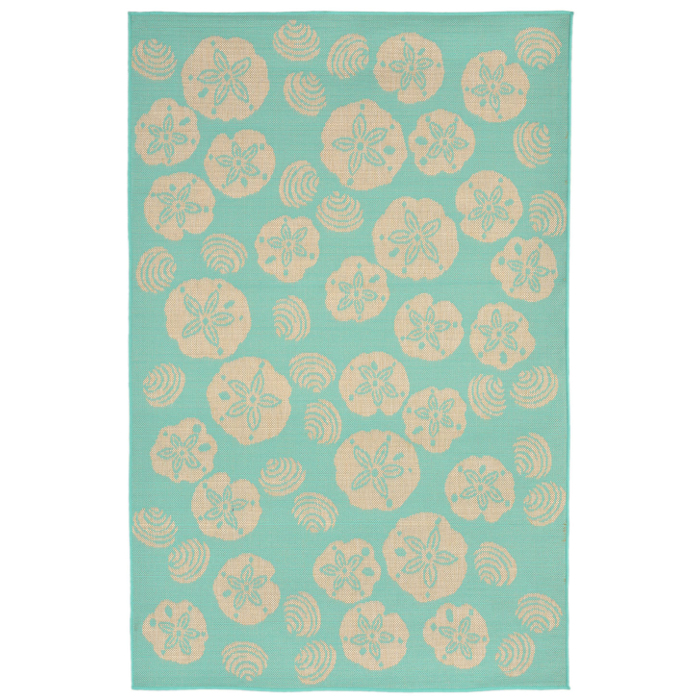 Select Size 23"x35" 39"x59" 23"x7'6" 7'10"SQ 7'10"x9'10" 4'10"x7'6"
Terrace Shell Toss Indoor/ Outdoor Rug features shells and sanddollars tossed all over a turquoise colored background. 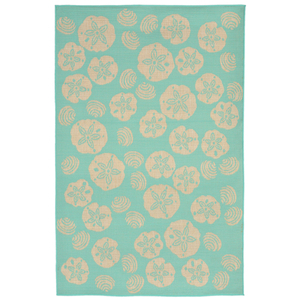 This is a coastal themed rug that is sure to liven up any space. The content and quality of this hand tufted, synthetic blend rug will hold up to indoor or out door use. Wilton Woven in Turkey of 100% Polypropylene and UV stabilized for Indoor or Outdoor use.